I spent the last month baking, cleaning, spending time with family, and brooding. I did a lot more of the latter. It’s one of the main reasons I picked up and went missing for a while. I needed time to collect myself and finish tasks that were long over-due, before I sat down to make anymore photos and posts to share. During that time, I baked pies and brownies for those dearest to me. I washed dishes more times than I can possibly remember. I gave my attention to the laundry that patiently sat, piled behind the wooden divider in the corner of my bedroom since (gulp) late May. I ate at a Michelin Star restaurant. And I retreated, languished, and took some time for myself to accept that I needed to be useless for once. I needed to reset myself. A few hours each day were spent lying lazily on our sofa with a book in my face. The roaring of the air condition in our living room was silenced, followed by a zoop of the windows being slid open. The afternoons were warm cups of tea on a rainy day- as hushed as a sleeping baby, and heavy with languor. My last reading session ended with me dawdling into the kitchen, thinking about what would happen in the next chapter of the book, “Maybe Scarlett was kidnapped. No, it can’t be… She probably wandered off into a pastry shop nearby.” I set the oven, and opened the baking cupboard beside it and separated the roasting tray from the other baking pans. I put the roasting tray on the counter near the sink, and yanked open the refrigerator door, pulling out a carefully wrapped whole chicken from the bottom shelf. My mind immediately jumps to a sentence from the beginning of the book: COULD YOU KILL AN ANIMAL?. I wander away from the thought, thinking it’s silly, and proceed to remove the bird from the butcher paper. Instead of carelessly dropping the chicken, I placed it in the clean sink. The thought of ever being able to kill an animal still lingers in the back of my head, which makes me feel like I owed something to this chicken- it demanded respect; it was the least I could do, I guess. After all, it unwillingly gave its life to become my family’s dinner. I go ahead and bathe the chicken in cold water, then dab it dry and carry it–as carefully as one would carry a baby– to the roasting pan. I felt ridiculous. After a quick hand wash, my wandering mind remembers about the butter, herbs, and the lemon I’d forgotten to take out earlier. I toss a half the package of butter into a bowl, and give it a quick whirl in the microwave until it softens a bit. Meanwhile, I zest a lemon, and slide my thumb and index finger along each sprig of fresh rosemary and thyme, separating the glorious verde leaves from the twigs. I open the metal lid on a glass jar of Turkish Oregano, and grab a heavy pinch and crush the dry herb in my palm. I let the fragrant leaves pile onto the cutting board, mingling with the other herbs and the redolent lemon zest. I bent down to smell the fresh herbs- immediately, I was transported to paradise. I push the herbs and lemon zest into the bowl of softened butter, and mix it with some sea salt and freshly cracked black pepper. I taste the butter with the end of a spoon and grin. Perfection. I toss the spoon into the empty metal sink, pick up the bowl and turn to the chicken. My entire body freezes, and I ask myself again, “Could you kill an animal?” Only this time, I don’t wander away from it. I stand still, staring at the chicken, trying to form a satisfactory answer. I stand their thinking to myself, “Could I? Would I? I like eating the stuff, but why would I want to kill anythi-”. Beep. Beep. Beep. The oven is done preheating, and I wake up from my moment of contemplation. Some of our meals are usually a slow affair- always carefully put together, which I don’t mind, but preparing this chicken took much longer than I anticipated it to take. I was stuck in a meat eater’s quandary, only I wasn’t really killing the chicken; it was already dead. I ripped open a paper bag, grabbed the chicken, and the bowl of herbed butter. This chicken demanded special attention, and most of all- respect, especially if I was going to cook and eat it. So, I put the chicken on the paper bag, and began massaging the entire bird with the butter. Slightly frustrated with the chicken, I picked up my pace. I quartered and peeled a small onion and cut the zested lemon in half and threw it into the cavity of the chicken along with the quartered onion. 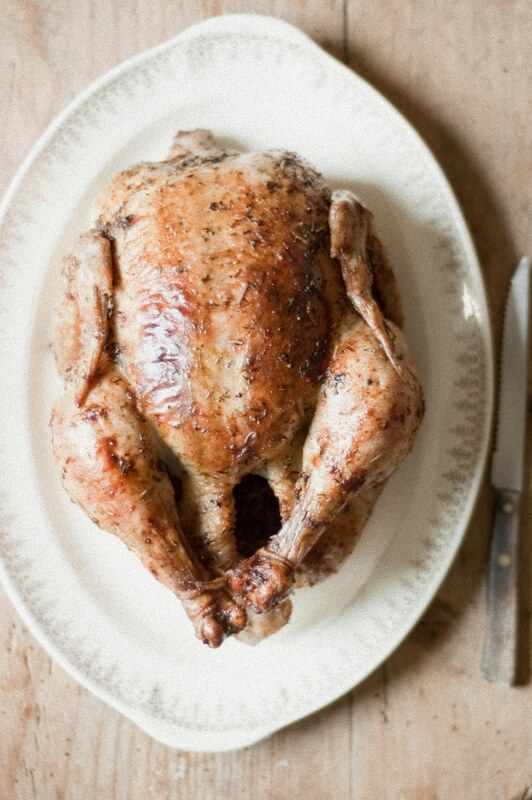 I tied the legs of the bird, pinned down the wings, and put it back on its roasting tray; into the oven it went. Once the oven door was shut, I let out a sigh of relief and walked away. This was the first time a chicken made me feel so… Cruel. Maybe it was just the book getting to me, or was it that deep down inside I wanted to live a vegetarian lifestyle? I can survive a long time without eating meat. We don’t eat meat everyday in our home. It wouldn’t be a big step at all, but what would I do when I have craving for my aunt’s Biryani or when I have an inexplicable craving for lamb chops? A little less than an hour into roasting the chicken, my nose smelled something familiar, homey, and comforting. I took a peak into the oven, and basted the chicken with the juices that unhurriedly dribbled into the roasting pan. I asked myself the question of the day, once again, only this time, I had a response for myself. Yes, I would, but I’d treat it with as much respect as I did the chicken in my oven. It gave its life; respect and care is the only way I can thank it. It’s not a perfect answer, but it’s satisfactory. In seconds, hands were washed, chairs were dragged against the linoleum tiles, utensils clinked about, and plates were raised. Damn chicken. Whether you have fresh herbs or dried herbs on hand, this roasted chicken can be made throughout the year on any day of the week. The herbed butter can be prepared a couple days ahead; just let it sit at room temperature before you decide to roast your chicken. Putting the herbed butter underneath the skin of the chicken does require a gentle and patient touch- you mustn’t tear the skin. I wouldn’t fret if you can’t get the butter underneath all (or none) of the skin of the chicken. You chicken will be just fine. 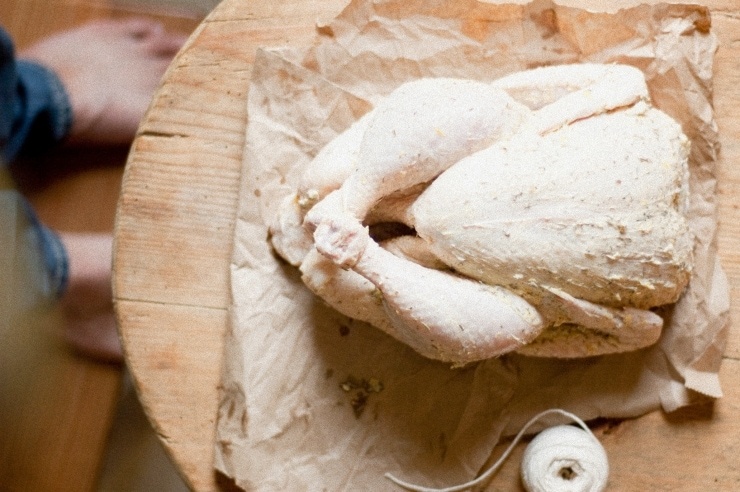 If you don’t know how to truss a chicken, this video is really helpful. I will admit, I don’t always truss my chickens as perfectly as the chef did in the video. I usually just tie the legs together with butcher’s twine and use some poultry pins / toothpicks to keep the wings on the side of the bird, and call it a day. This step is not entirely necessary, but it does allow the chicken to cook evenly and it makes it look more presentable. If you haven’t any butcher’s twine, use unwaxed dental floss instead. Basting the chicken with the pan juices, and rotating the pan seems like an unnecessary chore, but it allows for the chicken to get beautiful color while it’s roasting. ½ teaspoon freshly cracked pepper. Preheat oven to 375F / 190C / Gas Mark 5 with rack in middle. Discard chicken giblets. Remove any excess fat from around the cavity of the chicken, and discard. Rinse the chicken and pat it thoroughly dry, inside and out. In a medium mixing bowl, mix together the butter, lemon zest, thyme, rosemary, oregano, salt, and pepper. Rub the entire bird- inside and out- with the butter. If you have the patience and dexterity, gently loosen the skin from around the chicken and rub some of the butter underneath the skin. Not everyone is made for this job, so if you’re not up to this, or fear that you’ll tear the skin, you can skip this step; your chicken will be perfectly fine. I promise. Stuff the cavity of the chicken with the lemon halves and the quartered onion (Kamran note: if you want, you can also throw in a few sprigs of the fresh herbs and a head of garlic cut in half crosswise). Truss the chicken (refer to headnotes). Roast the chicken in a large flameproof roasting pan, basting with pan juices every ½ hour, rotating the pan. The chicken is done when it is browned all over, and the juices run clear when you cut between a leg and thigh, or an instant-read thermometer inserted in the chicken’s breast reads 155F / 68C and the drumstick reads 180F / 82C. This should take about 1 hr 50 mins. 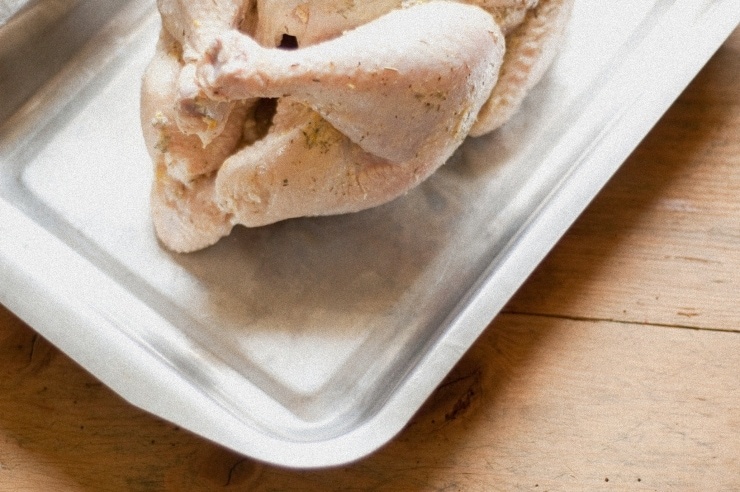 When the chicken is cooked, remove the chicken from the baking tin and leave it to rest on a large plate or platter, covered with aluminum foil, for at least 10 minutes before carving. Sprinkle with sea salt, to taste, and the remove string from around the chicken before serving. This dinner was one of many that are always amazing. I didn’t want to eat it because it looked SO beautiful on the plate. After a few minutes of smelling the wonderful aroma of the chicken I couldn’t help myself and I had to eat it. The potatoes were out of this world too (you’re posting the recipe for them, right, Kamran?). Aw, thanks mom! I sure am going to post the double-baked potato recipe! 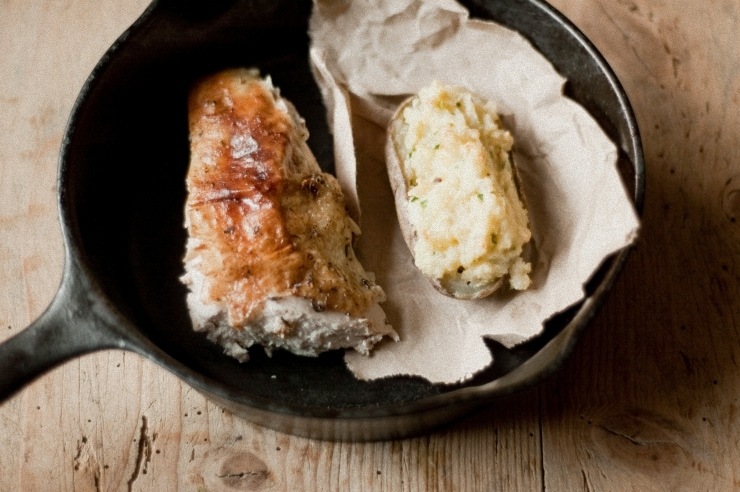 Beautiful chicken and wonderful trussing job too! I’m not going to lie… the thought of roasting chicken brings back so many memories from my childhood. It reminds me of home. Not the home that I live in with my husband (which, for the most part, remains pescatarian), but the one my parents created… the warmth, the love, the food. This question comes up in my own head every once in a while. I don’t cook a lot of meat, but I eat my fair share of burgers and bacon. I always remember a story my dad told me: he was visiting some friends who butcher their own animals. They were going to cook an entire sheep for dinner. They asked my dad if he wanted to participate, and being a cook, he said yes. He ended up being there when they killed the sheep and hung it upside down – necessary steps before eating. He felt the weirdest feeling overcome him, and hours later when they began to eat, all he could taste was dead sheep. The next night, though, he ate the leftovers happily. It’s hard to face the fact that pork, beef, poultry were once living animals, but that just makes us appreciate and respect our food even more. I loved this post. Chicken looks AMAZING. No. Plain and simple. But I will raise them to eat. We just had our first batch of roasting chickens sent to the processor on Tuesday. We ate two of them on Wednesday and they were delicious. Although some may complain that if I am to eat them, then I should be able to kill them I beg to differ. I have no problem with the animal dying, I just don’t want to deal with the mess myself. I grew up on wild game and I raise chickens now to eat, but I just wouldn’t do it myself. this is such a wonderful post. your experience is so true of a lot of people out there. they think about how killing animals is so cruel while they chomp away on a juicy piece of meat. we have to remember that while it’s true that there are a lot of individuals who are truly cruel to animals, there are those who kill these animals that we consume in a very humane way. with that in mind, we have to support these individuals and companies, because they still have the animals in mind even though at the end of the day they are going to be on their own plates. also, it’s so cute that your mom was the first commenter. it’s a great question to ask Kamran . . . it’s a question i started asking MYSELF about a year ago one day while standing in front of the meat section at my grocery store. and suddenly, i realized that i, we, had become so far removed from the animals we eat, that we do so without an ounce of thought. it’s shrunk-wrapped onto a styrofoam tray and plunked into whatever category of meal it falls. i know i can’t kill an animal . . . i just can’t . . . so now the moral dilemma i’m dealing with is this: if i can’t kill the animal, do i have the right to eat it? am on the fence with this one because like you, we eat very little meat in our home; but occasionally, i want a great burger or steak, i like bacon . . . but i’m quite happy eating a vegetarian or even vegan diet. so i don’t have an answer other than to say that also, like you, the times i do eat meat, i pause and give thanks for that animal. i don’t know if i’ll ever give it up completely but i cannot eat lamb at all because i see their cute little faces and i just can’t do it. and quite honestly, i think every person should be REQUIRED to answer the question before they’re allow to eat meat . . . i know, i’m awful aren’t i?!! great post – can’t wait to see the potatoes!! The process of preparing a chicken for dinner is one of the fondest moments I have in the kitchen. It’s like a dance. As for would I? I can never say never. So I won’t. Lovely Kamran. wow this looks really great…I just can’t believed that you are only 19 years old…and you can cook like this…your mom is surely proud of you. WOW Kam – I got to taken in by how eloquently you wrote this post about something as “ordinary” as chicken and for a second, forgot where I was. Bravo my friend. It looks fantastic. And I can’t wait to give this recipe a try in my kitchen. This looks superb and golden! I’m usually lazy and prefer roasting just the drumsticks and thighs. But nothing beats a whole bird. Yum! What a beautiful, simple recipe. I love roasted chicken and I very much miss making my own here in Tokyo. My little counter top oven just isn’t big enough for the task. Beautifully written and photographed, as always! 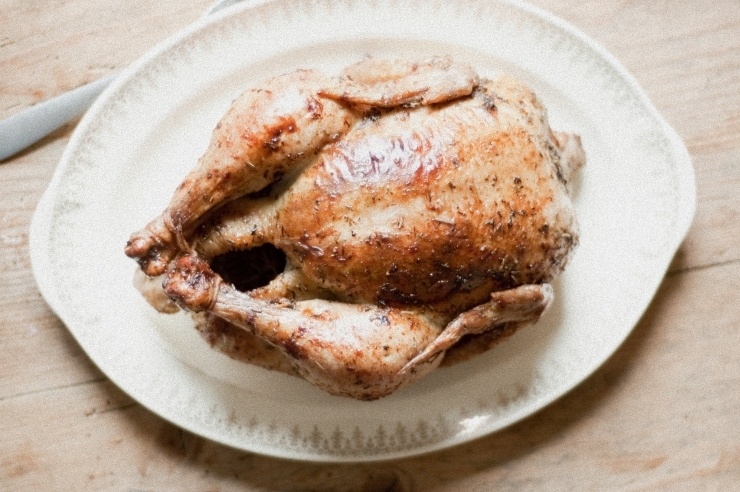 Rachael- would a couple poussins / cornish hens fit into the oven? Poussins have a little less flesh, but work just as well. A nice read, Kamran. I know that a lot of people struggle with that very question these days. It was never an issue for me. I grew up in the rural South; I’ve been hunting and fishing since I was old enough to thread a live cricket onto a hook. Not only was I doing it before I was old enough to understand the permanence of death but I was seeing the full circle of life in doing it. A cricket is a bug and most people don’t think twice about swatting a bug. The bream doesn’t think twice about eating the bug. I don’t think twice about eating the bream. Circle of life. Because I had grown up with a father who learned to hunt and fish because if he didn’t his family would starve I was taught the proper way to be an outdoorsman. It was a philosophy passed down from the Creek and Chickasaw people that inhabited this land before the rest of us showed up, only take what you need. Nature has one rule – survival of the strongest. Because we are humans we have the right to kill other lifeforms. Because we ponder whether we have the right to kill we are humane. No other animal on the planet contemplates killing, to them it is as natural as breathing. I believe Mother Nature would say we are over-thinking the subject. Awww… so cute of your mom to comment! I’m making this tonight with just chicken drumstick. I have a teensy bitty toaster oven. But it would be good. I know so. Thanks Kamran. I loved that your mom is your first comment. One of the characters killed a chicken in the movie the Help and then you see them dipping it in buttermilk and flour to make grand fried chicken. I thought about what would I have done if that was the only way to get my chicken. Still don’t know. I suppose I would have had to kill the chicken. Great to see you back.It’s been a long time, Kamran. I LOVE reading your posts!! 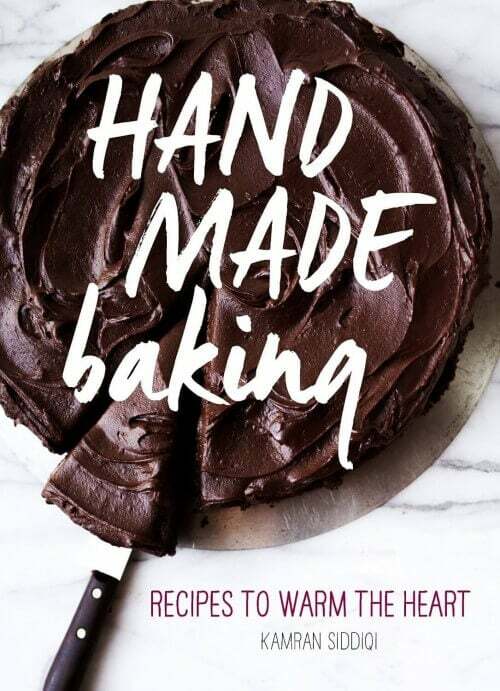 Not only do I get to discover an amazing recipe I can’t wait to try, but I get a dose of fantastic reading as well… thank you so much for your blog! Chrissy- thanks so much for the sweet comment! Love this post. I have killed something before and I cried when I did it. I was taking care of one of my husbands raptors, which eats smaller birds, my hubbie forgot to dispatch the food (little bird) before leaving on a trip and I had to do it. I cried when I killed the little bird, but I had to or the larger bird would die of starvation. I told my hubbie never to make me do that again. It was awful! I love your pictures they are gorgeous! Yes that is one answer I have been trying to find for a long time now and the decision has become specially difficult after we had our daughter.Its not just a personal choice anymore but I have too many memories attached to cooking lamb koftas and chicken masala with my family.And cooking them again with my little family now takes me closer to the past while cherishing the present.Yup, its difficult to give it all up so I try to ignore the thought. Then something like this post happens. Today you made me think about it again! You are a very good writer Kam and I feel a sense of pride calling u a friend every time I read your story. Great to have u back! Such a well written post! I started cooking meat after I married my husband, so I don’t know if there will ever be the memories taking me back. Its hard. But I know that my husband loves this and my love for him, to make good food for him, thats what I do. That said, the chicken does look fabulous! Hi Kamran, in a previous comment you mentioned we can use poussins instead of a regular chicken. How would I fit this recipe for a couple poussins? I am only asking because I plan to propose marriage to my girl friend of 3 years tomorrow night, and I want to make a very special meal for her. I want everything to be perfect. P.S. I would hate to waste the pan drippings do you have a recipe for gravy? Hi Tim, The recipe will be the same; just divide everything between each bird… The herbed butter, the quartered onion, etc. Beautifully written, Kamran. I have yet to read that book, but I honestly don’t know if I’d be able to kill the animals I eat. If I were to, I know that like you, it would have to be with the utmost respect. I’ve had many roast chickens, but have never done one myself. This looks phenomenal! Lauren- thanks! The book is pretty good. Amy is a great writer; some parts were just a bit too much for me, but overall-it’s a good read. Kamran, do you realize you are a fabulous writer? I lived every moment reading through the post. The other day my boss asked me what would be your last meal and even though I didn’t have a good answer the first thing that came out of my mouth was a good roast chicken. He made a face, he thought being a passionate cook I would have something more interesting to say. He didn’t know how interesting and fabulous a roast chicken can be. This for example. I think we should all ‘think’ about the foods we eat along with where and how they are produced. The paradoxical dilemma is this…raising animals for food in a way that makes us feel less guilty is expensive. Feeding the population of our country almost requires the huge farming operations that give us pause. If we were to suddenly require that all food come from animals that are left to roam, eat foods they would get in nature, grow to a size conducive to going to market…many, many people would no longer be able to afford meat at all. In lieu of that change or even that ability to see change; I think the very least the animal requires is our respect; an acknowledgement of their sacrifice. I believe many American Indians showed that respect in their rituals; the need of nature to provide sustenance and our need to acknowledge that sacrifice. It’s interesting to see this movement take place, especially in the minds of younger people like yourself Kamran…that’s where change starts. Beautiful! Got any tips for making the skin extra crispy? Beautiful pictures. I think about becoming a vegetarian from time to time too, whenever I think about how the meat got to the grocery store to my fridge to my table. This looks fabulous. Time, I think, for me to try roasting a whole chicken. I think I could kill an animal if that were the only way for me to get meat. I actually must consume animal protein, because my body simply does not absorb vegetable proteins. I have had some very close health calls in the past as I attempted to cut meat out of my diet. But still, I can survive on little. I cook vegetarian and vegan meals at least 50 percent of the time. There are simply so many other options in food! It perplexes me that a lot of Americans don’t eat quinoa, tofu, hard-boiled eggs, and black bean burgers. These foods are not just for vegetarians! I think that if more people ate a wider variety of proteins, then the meat industry could be coaxed into using better practices. Anyhow, I am very excited to try making your twice-baked potatoes with the potatoes from my very own garden! Kam, I just found your site this evening when I was searching for dinner ideas. Once I clicked on your site my jaw dropped. Your writing and photos are fantastic and I could just stare at your site forever without getting bored. When I normally roast chickens they turn our bland or too dry= just a plain ol’ mess. I don’t know what it was in your recipe, but this is the best roast chicken I’ve ever eaten and made. I served it with your twice baked cheesy potatoes and a salad. Truly remarkable! I can’t wait to try more recipes from your site. So spot on and delicious. Lovely job you’re doing here young man!